A variety of causes and conditions may trigger oily scalp issues, such as excess sebum which is hereditary. The origin is usually to be found in the scalp. Sebaceous glands release too much sebum, an oily substance that protects hair. Hormonal changes, a diet that is too rich in fat, lack of vitamins, toxicity or stress all may cause this hair disorder. It is also possible to develop oily hair and scalp with age. The build-up of sebum harms the development of new hair strands that will thin over time. 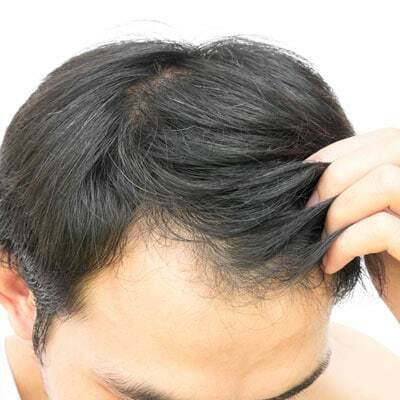 It may also be associated with a more serious condition such as hair loss. Putting an end to oily scalp? We can! These products from the Capilia Advanced Scalp Care Line are made with 100% natural ingredients including camphor oil, eucalyptus oil and Chinese mint. Their soothing and cooling action has been specifically developed by Capilia to calm sebaceous glands. Use the Oily Scalp Shampoo in combination with the Purifying Action Lotion from the Capilia Advanced Scalp Care Line. We recommend alternating with another shampoo from Capilia’s Natural Hair Care Ritual Line or Advanced Scalp Care Line.